Storage of the stuff I’m giving away is starting to become a problem. 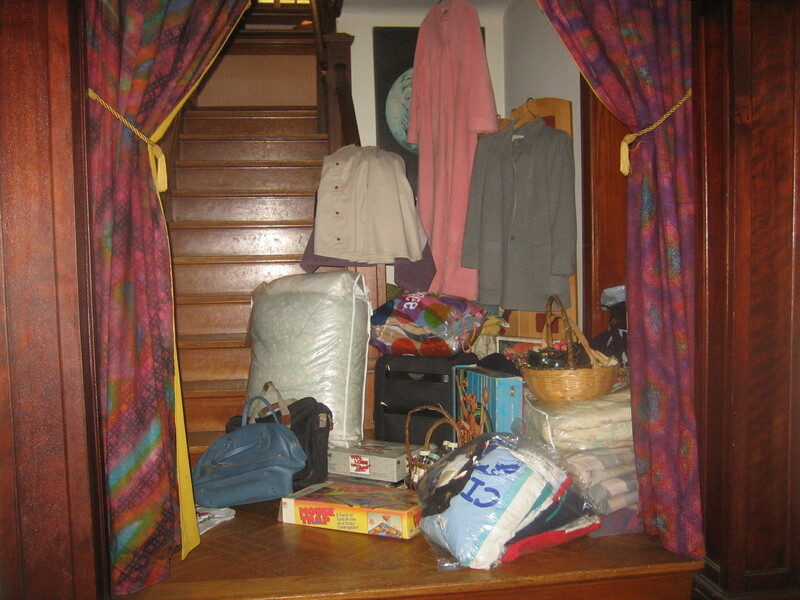 Since it’s not efficient for me to daily take each day’s give-aways to Goodwill or St. Vincent DePaul, I’m collecting all the stuff in a corner. 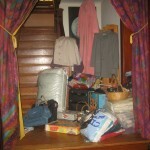 After Easter I plan to put an ad in Freecycle http://www.freecycle.org for the bigger items and take the rest to a charity. Meanwhile our home looks more cluttered rather than less because we also have all the dining room furniture stored in the living room till the ceiling gets fixed. Perhaps today, I’m letting go of the peace of mind that an uncluttered environment brings and delaying that gratification.